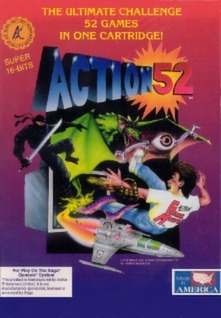 Action 52 (SEGA GENESIS) Tested! Action 52 for Sega Genesis; authentic, tested! Action 52 SEGA Genesis Multi Game Cartridge Cleaned Tested FAST SHIP! Action 52 (Sega Genesis, 1993) Rare, Good Condition! Action 52 (Sega Genesis, 1993) - Game Cartridge - TESTED - Works Great - !! !